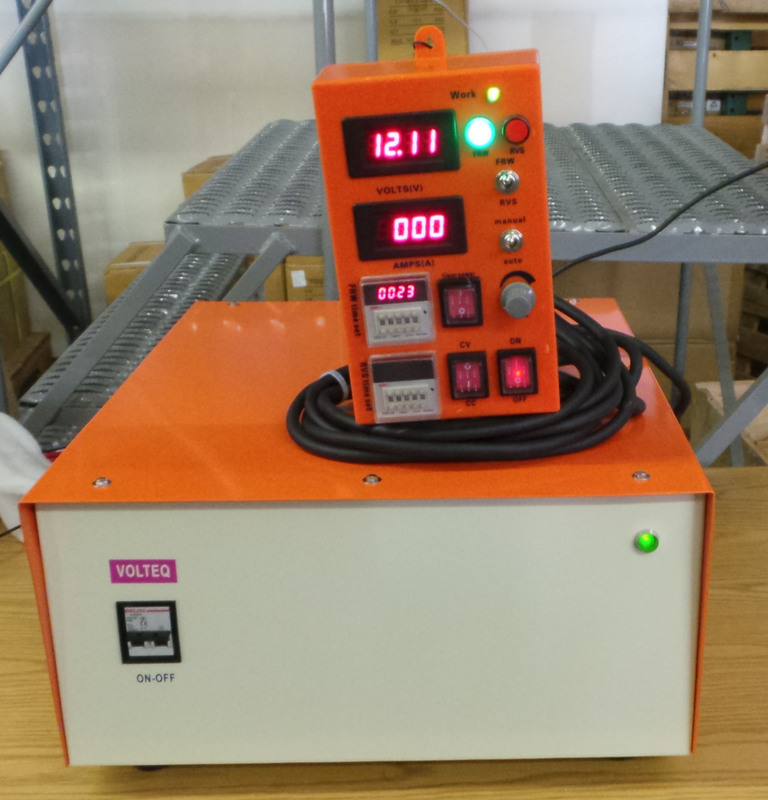 VOLTEQ HY30200RX is a high current electroplating rectifier with built-in over-voltage and over-current protection, ideal for electro-plating and waste water treatment applications, as well as battery charging and DC motors. 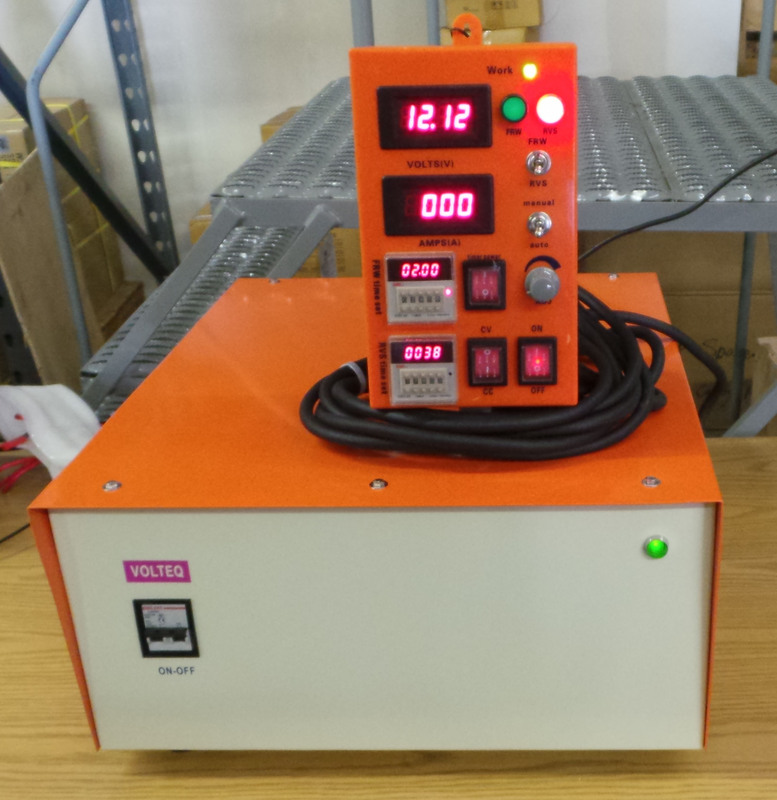 HY30200RX comes with reverse polairty capability, which can be controlled manually and automatically on timers. 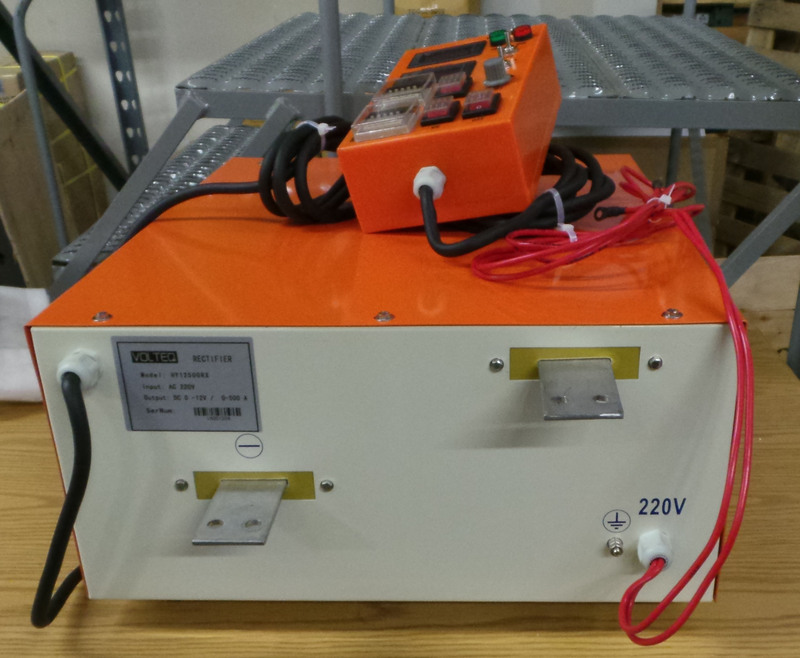 This high quality plating rectifier can be continuously adjustable at 0-30V DC and 0-200A. The current requirement on the AC line is 35A at maximum output of 6000W. Retails well over $4000. Please email us with any questions!